We are excited to announce that Joby Hopa, AKA Matua Joby, will be the MC for the Toi Tangata Hui ā Tau 2019. Joby is passionate about whanau, teaching, and Māori culture. He teaches kapa haka, te reo o te kainga, me ōna nei tikanga to many, those of all ages and backgrounds. 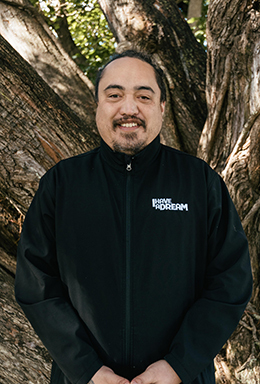 Currently employed as the Community Engagement Manager for the I Have a Dream Charitable Trust of New Zealand, he is also the Relationship Manager of Pēhiāweri marae, Glenbervie Whāngarei. Joby’s strengths are his ability to initiate real communication, instigate motivation, instill confidence and self belief and maximise a sense of identity and pride utilising te reo Māori me ōna nei tikanga. The tenets of tika, pono and aroha underpin the dynamic mahi of the marae and Joby believes they are pivotal to doing any mahi in our community. Joby, along with his whanau, leads Hātea Kapa Haka and actively supports local government and community events. He is regularly invited to speak and present to school staff, boards of trustees, early childhood forums, community health, tertiary and sports forums. He is the current Chair of the Waitangi Cultural Society Incorporated, the regional organisation that has oversight of kapa haka in Te Tai Tokerau. Joby received his Bachelor of Education from the University of Auckland in 2009 – 2012 and a Bachelor of Māori Performing Arts from Te Whare Wānanga o Awanuiārangi (2009 – 2011).